Crafting Confessions: A Very 'Merry' Birthday! 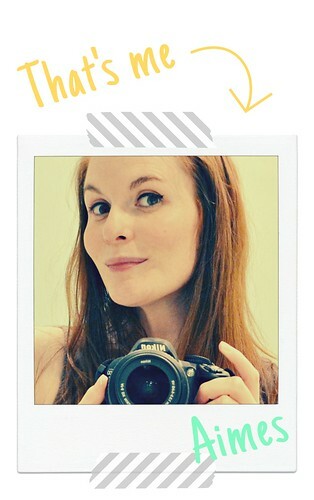 A surprise Sunday post from me today! Hope y'all having a super weekend so far and making the most of it! This surprise post is as part of a li'l surprise blog hop celebrate the birthday of a gal who needs a special 'birthday boost' this year. Merry is such a sweet member of the PTI Forum who has had waaaaaaay more than her fair share of tough times. Today is her birthday and as part of this wonderful online community, we wanted to let her know that we're here to celebrate this day with her, and also wanted to let her know how much we think she rocks! So without further ado, Happy Birthday, Merry!!!! Edited to add: after creating this card, I've realised it could also fit in the near-ending May Gallery challenge on Paper Crafts Connection. This could easily suit a card for Mothers' Day IMHO! Oh cute cute *cute* Aimes!! Love your bright, happy card, and you totally rocked it with your signature style! Thanks so much for getting involved in the Hop! That's so thoughtful Aimes. This is so pretty, I'm sure this will put a smile on her face. And she goes back to her CAS roots...I love this card! Gorgeous Aimes...and I'm jealous of the week long holiday!! Your card is gorgeous....as always. I just love your CAS style. This one is CAS but so elegant. Great job! Another corker Aimes! Straight in to my favourites folder. Love to see you back to your CAS roots! So beautiful!! I love the Berry Sorbet with the white. The vellum and embossing are gorgeous on this card!! Aimes, this card is beautiful. Those rhinestones look like they're just "dropping" from heaven. Outstanding! Aimes, I love how the white sentiment pops off the vellum. Beautiful!! Looooove this Aimes! The vellum strip is so soft and sweet, and those lovely little gems are the perfect finishing touch! This is gorgeous Aimes! Love the vellum! I *love* this card. It is simple, but so so elegant. Beautiful! Oh this is stunning Aimes, love the colours. Stunning card Amy!! Love how you blinged it up with the vellum and rhinestones, not to mention that gorgeous Berry Sorbet cs! Gorgeous card Aimes! Love that vellum strip and those flowers! This is so beautiful and elegant! Love the placement of those blinkies. It's perfect! wow, simply stunning. Merry will LOVE it! Beautiful, Aimes! I love the vellum and that gorgeous color! Ahhh... your card is a cool drink of water! The vellum looks so elegant with the flowers and the bling. Just beautiful! An understated elegance to this card for sure! Pretty color and love the embossing on the vellum. Such yumminess in this card!! Love the vellum and the blings!! Thanks so much for playing with us at CAS-ual Fridays! This is super beautiful! Thanks for playing along with us at CAS-ual Fridays! This one totally caught my eye in the CAS Friday entries! Love it!! Lovely!! Really loving the vellum and the random-like placement of the bling-fabulous! Thanks for playing with us at CAS-ual Fridays! Beautiful colors, elegant card! Love the accents of bling. Thanks for playing along with us at CAS-ual Fridays! Gorgeous card girlfriend! I love the subtle stamping of the flowers! And of course those rhinestones are perfectly placed! Thanks for playing along at CAS-ual Fridays! Lovely work, the gold is awesome! Gorgeous!! The subtle background with that elegant vellum sentiment is an amazing combination! Thanks so much for playing with us at CAS-ual Fridays! Hope you'll join us again and share more of your beautiful work with us! Very pretty - love that bit of vellum and string around the middle. Thank you for joining us at CAS-ual Fridays. Oh Aimes, I'm going to tonally case this beauty. I love the clean simple look, and the bling is just perfect. So glad you joined us for CAS-ual Fridays! Aimes thank you so much! CAS rocks! This is stunning! Could not be more fantastic. Thank you so much for doing this for me. Wow. Terrific CAS card! Love the color choices! I'm linking this up on Practical Scrappers today! As per usual, absolutely beautiful!! Holy schinkes!!! This is AMAZING!!! 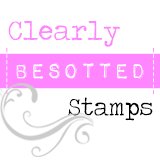 I LOVE the berry sorbet with the white stamping (can't believe I don't own this stamp set yet!!). The vellum overlay is one of my fav techniques and your's is FABBY!!! What a great way to celebrate Merry's birthday!